Saturday we happened to stop in, and I was giddy impressed to find grass-fed meat, organic cheese & yogurt at better prices than our grocery store, and of course specialty things like wine, gourmet candy & snacks, and pantry items. We grabbed a few things we needed and were on our way, but now I'll definitely make routine trips there for certain items. Any other loyal TJ shoppers out there? I absolutely love TJ's... I used to shop there all the time when I was in college, since it was within walking distance. I don't go as often anymore, but I still love it. This might be silly but I love the packaging! What a cute little paper brown bag :D I guess it's the little things that get me, ha. Ps - I just started a new design blog! It's called The Sketched. I hope you like it! Um yes... OBSESSED! and such great prices! Chaucee: I should have mentioned that I LOVE the packaging too. I guess it goes without saying for me! Trader Joe's rocks! They have a lot of organic options too. If you like Indian they have a set of boxed Indian meals that are delicious. Oh! And if you like guacamole they have the best. Trader Joe's is awesome! We go all the time and love that they are starting to have more Gluten Free options at a reasonable price! yes yes yes i miss being closer to one...it's about 30 minutes away. i really can't believe how good their prices are. and all the fresh flowers too! I love Trader Joes and am lucky to live right across the street from it! When it opened last summer you had to wait in a line all day to get in. I too love the packaging and used the snowflake winter bags to wrap all my Christmas presents. Heck yeah! 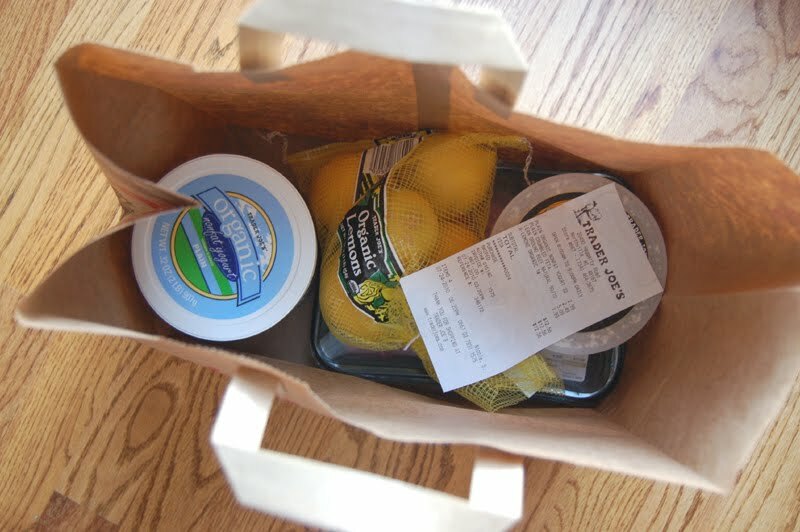 I'm fairly new to So Cal, and I'm LOVING Trader Joes for their convenience foods and cheap wines. I'm right there with you on Trader Joe's. The chocolate covered almonds and the chocolate covered peanut brittle are an absolute staple at my house. They have so many hidden treasures in their aisles that every trip is an adventure!! Unfortunately there is none my local area, but it certainly does look delish!! You're not a dork at all! I may be though - I've never been. Have heard wonderful things. Here is what you need: dark chocolate covered edamame. It's the most important thing. I used to be a Whole Foods devotee. Then reality hit of the prices. 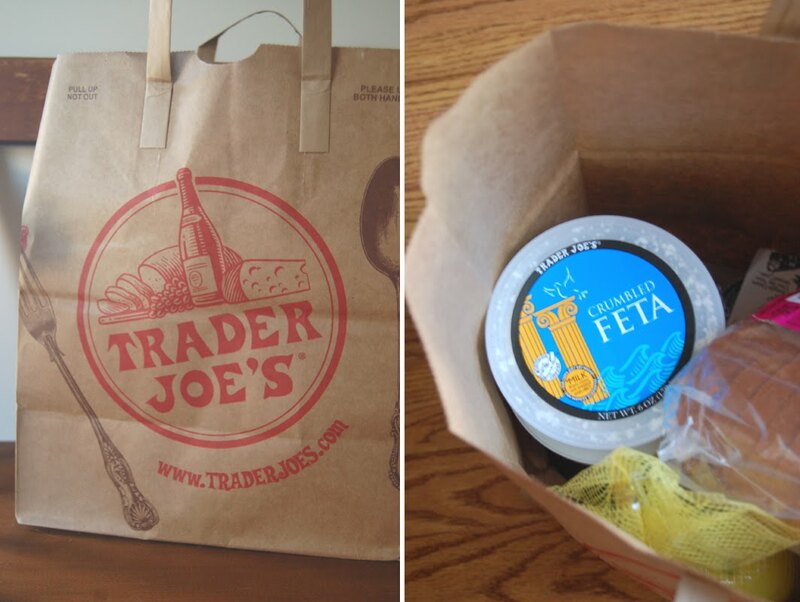 Trader Joe's is amazing!! I can't get enough of their Mediterranean Hummus. I get everything there except produce (I have a local shop that is cheaper and sources locally). TJ's packaged items are the only packaged items I will buy. Love them!